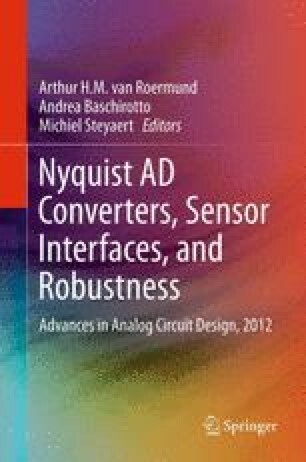 In this work an overview is given of the progress which is made in the last few years in the domain of analog organic electronics. Subsequently several building blocks for organic smart sensor systems are brought into focus. The implementations of a two-stage DC-connected opamp, a ΔΣ ADC, a Dickson DC-DC up-converter and a capacitive touch sensor are presented. Special attention is spent to the design techniques applied for embedding the circuits in the given organic electronics technology.